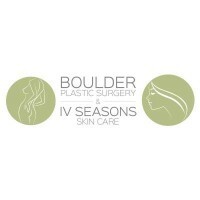 Boulder Plastic Surgery & IV Seasons Skin Care - Get Involved. Make Friends. Enjoy Motherhood. Bring a friend and join Boulder Plastic Surgery & IV Seasons Skin Care for an evening of Hors d’oeuvres, drinks, and skin care goodies to learn about the latest Mommy Makeover options. Dr. Hans Kuisle, Dr. Winfield Hartley, and Dr. Justin Maxhimer will discuss the surgical procedures; tummy tuck, breast lift and augmentation, liposuction, and other treatments to customize makeovers. IV Seasons Medical Aestheticians will be on hand to present non-surgical treatments and answer product and skin care questions.